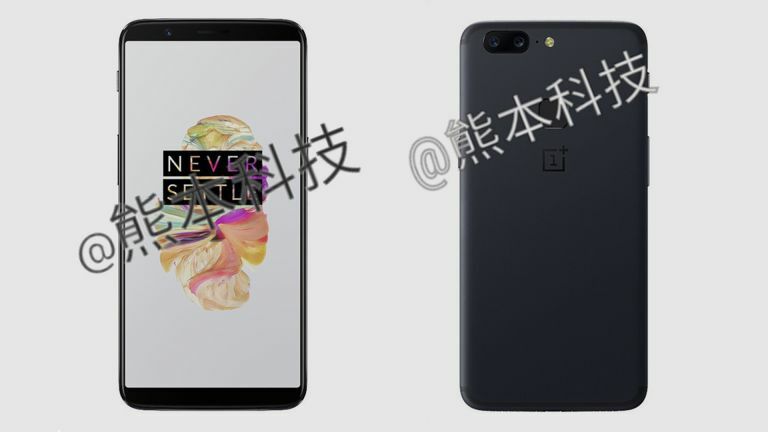 The next OnePlus 5T, as it should be called if not OnePlus 6, has apparently just leaked showing off what we can expect - and there’s not a bezel in sight. The One Plus 5 launched only this summer yet the company is already working on an updated model according to several rumours and now this leaked image has appeared on China’s Weibo. The image shows off a smartphone with a complete lack of bezel on the sides of the display, which is allegedly a 6-inch 2160 x 1080 resolution AMOLED. But as you can see there also appears to be very little bezel at the top and bottom - a lot like the Samsung Galaxy S8’s Infinity Display. You’ll also notice the fingerprint reader is on the rear along with a dual rear camera. This snapper is rumoured to feature not one but two 20-megapixel sensors that should create a seriously impressive end result. Even that tiny bezel surrounded front-facing camera is supposed to be a hefty 16-megapixels. OnePlus released its 3T not long after the 3 as an incremental update. This jump from the 5 to 5T appears to be far bigger. Some rumours suggest this is actually the OnePlus 6 and it won’t arrive until 2018, however more leaks of late suggest it could be coming as soon as November this year. Check out out review on the current model below.